Lavender Hand Balm (50ml) : Cocoa Butter (theobroma cacao), Apricot Kernel Oil (prunus armeniaca), Sweet Almond Oil (prunus dulcis), Shea Butter (butyrospermum parkii), Avocado Oil (persea gratissima), Coconut oil (cocos nucifera), Jojoba Wax (simmondsia chinensis seed oil & hydrogenated vegetable oil). 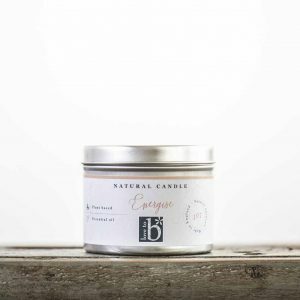 Naturally scented with essential oils:*Lavender (lavandula angustifolia), *Rose Geranium (pelargonium graveolens)and *Ylang Ylang (cananga odorata). *Naturally occurring ‘sensitisers’ in the essential oils used in this product: Farnesol and Geraniol. Lavender & Patchouli Soap (45g) – Water (aqua), saponified oils of: Olive Oil (olea europaea), Coconut Oil (cocos nucifera), Shea butter (butyrospermum parkii), Castor Oil (ricinus communis), Cocoa Butter (theobroma cacao). Essential oils:*Lavender (lavandula angustifolia), *Rose Geranium (pelargonium gaveolens), *Patchouli (pogostemon cablin), Glycerine, Alkanet root (alkanna tinctoria), ci77891: white natural mineral. *Naturally occurring ‘sensitisers’ in the essential oils used in this product: Linalool, Citronellol, Geraniol & Limonene. 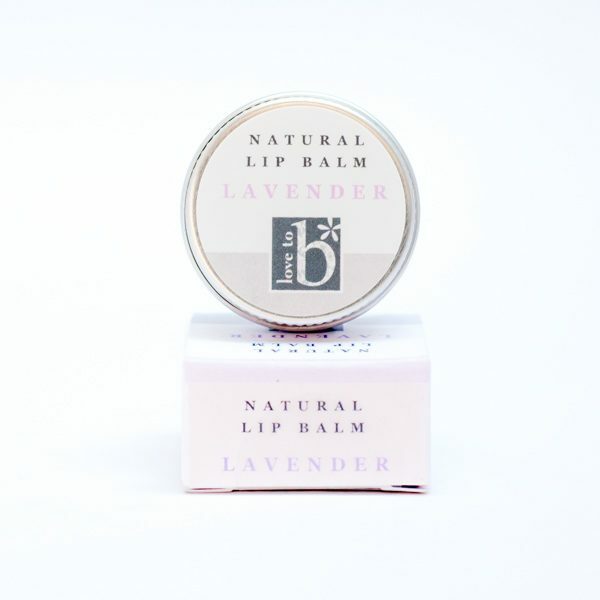 Lavender & Tea tree lip balm (10ml) – Cocoa Butter (theobroma cacao), Apricot Kernel Oil (prunus armeniaca), Sweet Almond Oil (prunus dulcis), Shea Butter (butyrospermum parkii), Avocado Oil (persea gratissima), Coconut Oil (cocos nucifera), Jojoba Wax (simmondsia chinensis seed oil & hydrogenated vegetable oil). 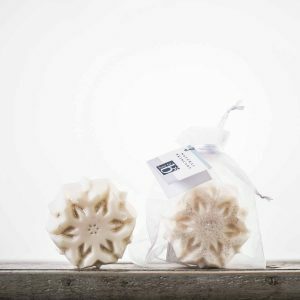 Naturally scented with essential oils:*Lavender (lavandula angustifolia), *Rose Geranium (pelargonium graveolens) and *Ylang Ylang (cananga odorata). *Naturally occurring ‘sensitisers’ in the essential oils used in this product: Farnesol and Geraniol. Lavender Bath Melt (20g): Cocoa Butter (theobroma cacao), Sweet Almond Oil (prunus dulcis), Shea Butter (butyrospermum parkii). 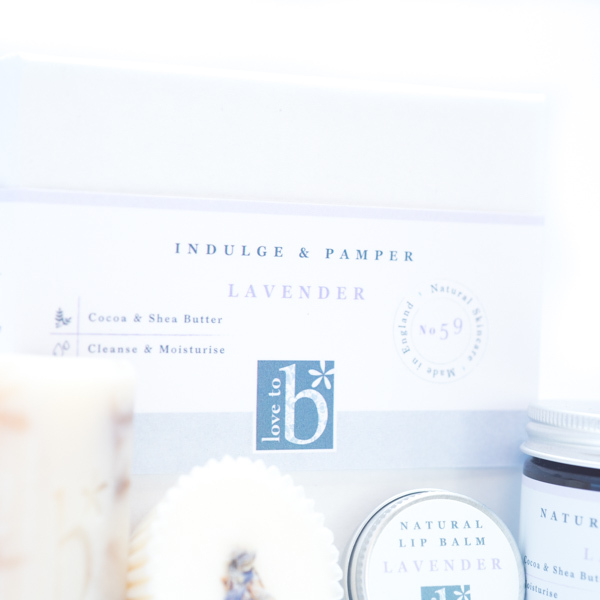 Essential oil: *Lavender (lavandula angustifolia), Lavender botanicals. 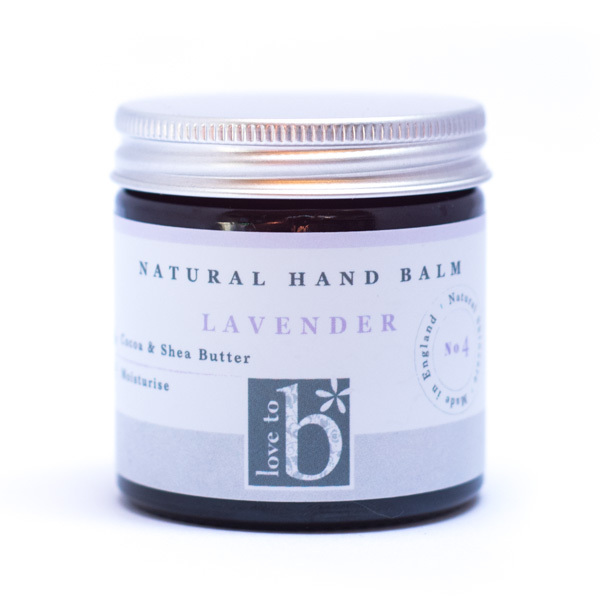 Lavender Hand Balm: nourishes, softens and protects your hands! 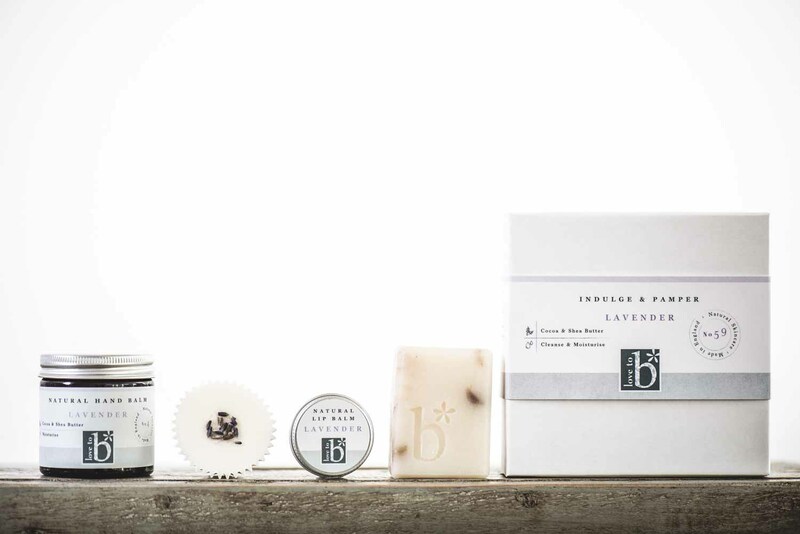 Lavender & Patchouli Soap: natural with the wonderful relaxing scent of English lavender. 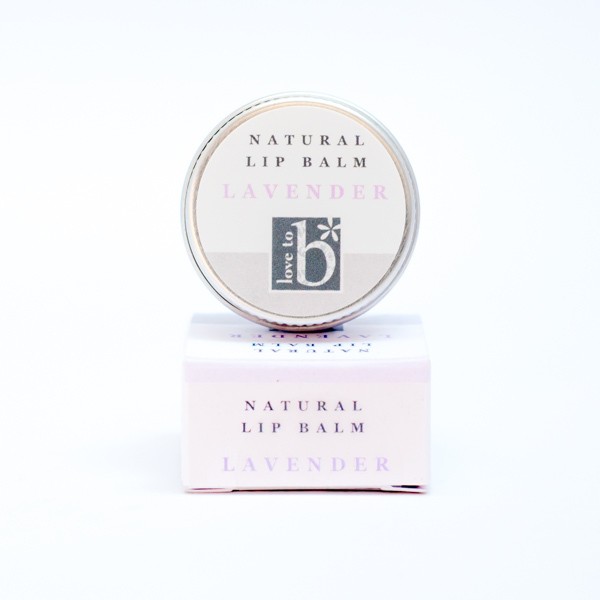 Lavender & Tea Tree Lip Balm: Apply to lips to moisturise as necessary. 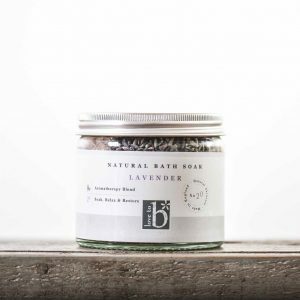 Bath Melt: scented with essential oil of Lavender and coated in Lavender buds.